Sprinkle steaks with salt and generous amount of pepper. Rub 1 tsp oil over bottom of heavy medium skillet. Heat skillet over medium-high heat. Add steaks to skillet and cook to desired doneness, about 4 minutes per side for rare. Using tongs, transfer steaks to plate; tent with foil to keep warm. Add remaining 2 tsp oil to same skillet. Reduce heat to medium-low. Add shallots and rosemary and cook for 2 minutes, stirring occasionally, add vinegar and cook until reduced to glaze, stirring up browned bits, about 1 minute. 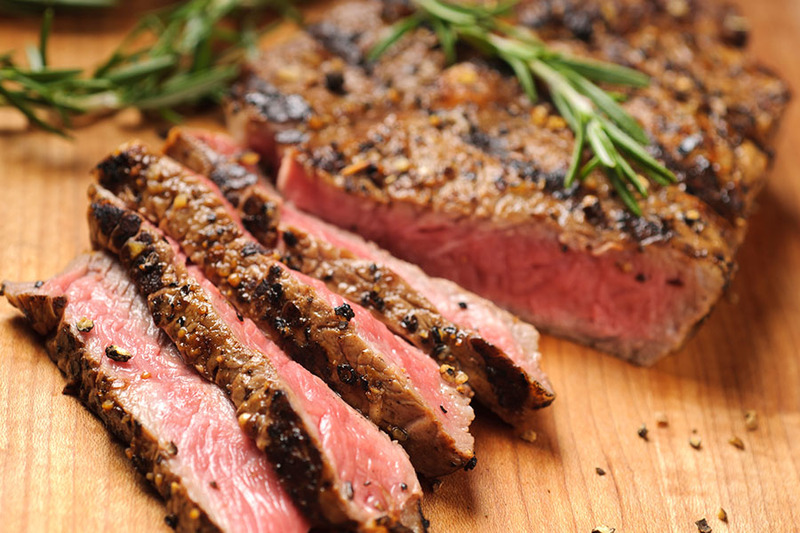 Mix in juices from plate with steaks. Spoon glaze over steaks and serve.